Sutter Cane has a life long passion for Techno to look back on. Based in Vienna, the Austrian dj & producer is the founder of Driving Forces, promoter of a monthly techno club series called BOINK!, and A&R of successfull and international respected label DFR. His hypnotic bigroom techno has conquered nearly all important Austrian clubs and festivals and earned him a reputation as an untiring, skillful and emotional DJ. 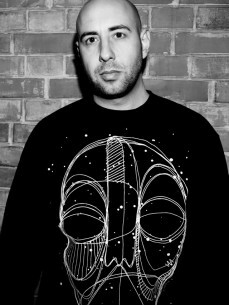 This soon brought him international recognition with performances at Festivals like Mayday, Urban Art Forms, Electroterminus, Ruhr In Love and the legendary Gazometer events, followed by various club dates from famous Tresor in Berlin to Batofar in Paris, Undercurrent in Amsterdam and shows in nearly all European countries. With releases on labels like Phobiq, MB Elektronics, Sleaze, Brood Audio, Nachtstrom Schallplatten, Rhythm Convert(ed), Impact Mechanics he established himself as a known producer and remixer, which made him work for or with artists like Sasha Carassi, André Walter, Space Djz, Virgil Enzinger, Pfirter, Gayle San, Christian Fischer, Roberto Capuano, A.Paul, Niereich and many more.